The National Parks Traveler website has put up a post about the upcoming celebrations of Brother George Washington’s inauguration. 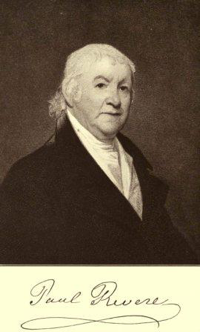 It was 225 years ago this April 30 that George Washington was inaugurated as the country’s first president. You can mark that occasion when the National Park Service celebrates it at Federal Hall National Memorial in New York City. Hoai-Tran Bui has posted an article on NBC Washington’s website about the unveiling of the restoration of Brother George Washington’s ‘New Room’ at Mount Vernon. 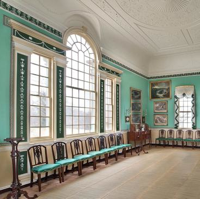 Historians had long called the biggest room in George Washington’s Mount Vernon estate “the Large Dining Room.” Where else would the first president hold his meals except in the most auspicious room? 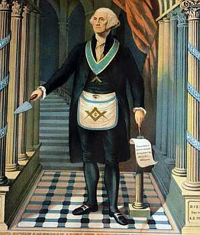 The Freemasons, a fraternal organization developed from the stonemasons, include more than 6 million members worldwide. Despite nearing 300 years of activity, the Freemasons remain mysterious, with many of their records destroyed naturally by time. But a few member lists survived — and they name some of the most influential people throughout history. While it is an interesting (and short) article, it appears that they may not have received the full story on the men they present as Masons. On this day in 1909, 27th President of the United States, William Taft, was initiated into Freemasonry as an Entered Apprentice Mason. 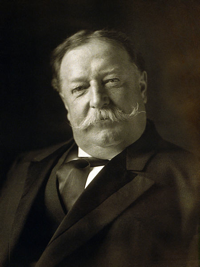 William Howard Taft (September 15, 1857 – March 8, 1930) was the 27th President of the United States (1909–1913) and later the tenth Chief Justice of the United States (1921–1930). He is the only person to have served in both of these offices.